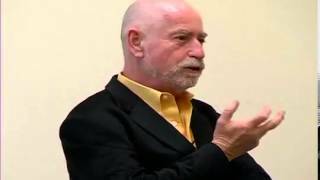 An internationally renowned futurist and business strategist, Peter Schwartz is the senior vice president for Global Government Relations and Strategic Planning at Salesforce.com, the innovative business commerce company. In this capacity, he directs the company’s policy and politics throughout the world and manages the organization’s ongoing strategic conversation. He specializes in scenario planning, working with corporations, governments, and institutions to create alternative perspectives of the future and develop robust strategies for a changing and uncertain world. His research and scenario work encompasses the fast-moving world of connected business, energy resources and the environment, technology, telecommunications, media and entertainment, aerospace, and national security. He has a long and storied history of pioneering futures-based work. Schwartz founded the Global Business Network (GBN) in 1988 in his Berkeley basement with several close friends, including Napier Collyns, Jay Ogilvy and Stewart Brand. GBN became the premier scenarios-based consultancy, which Schwartz described as an “information hunting and gathering company.” In his early career, Schwartz led the scenario team at Royal Dutch/Shell in the 1980s, where many of the scenario tools he pioneered were used to great advantage. Schwartz has written several books, on a variety of future-oriented topics. His first book, “The Art of the Long View” (Doubleday, April 1996) is considered by many to be the seminal publication on scenario planning, and is used as a textbook by many business schools. “Inevitable Surprises” (Gotham, June 2003) is a look at the forces at play in today’s world, and how they will continue to affect the world. He also wrote “The Long Boom” (Perseus, September 1999), with co-authors Peter Leyden and Joel Hyatt, which is about the future of the global economy. His book “When Good Companies Do Bad Things” (Wiley, April 1999), is an argument for corporate responsibility in an age of corruption. “China’s Futures” (Jossey-Bass, January 2000), is a vision of several different potential futures for China. He also co-authored the Pentagon’s “An Abrupt Climate Change Scenario and Its Implications for United States National Security”. He has worked as a consultant on several movies, including “Minority Report”, “Deep Impact”, “Sneakers”, and “WarGames.” He serves on the board of directors for the Long Now Foundation. In 2007, Schwartz moderated a forum titled “The Impact of Web 2.0 and Emerging Social Network Models” as part of the World Economic Forum in Davos. 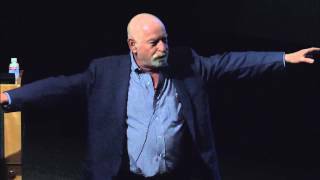 Peter Schwartz is available for paid speaking engagements, including keynote addresses, speeches, panels, and conference talks, and advisory/consulting services, through the exclusive representation of Stern Speakers, a division of Stern Strategy Group®. Business is fraught with uncertainty, more than ever before. 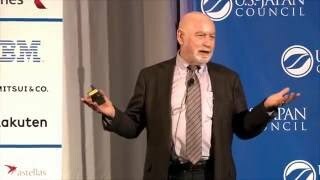 Peter Schwartz asserts that we have good tools to help manage the risk and parse the choices leaders must make: enter Scenario Planning. Scenarios are rich, data-driven stories about tomorrow that address important, immediate choices for business leaders. Good scenarios, argues Schwartz, incorporate rigorous analysis, but are also driven by insightful imagination. They are not about getting the future right, but about making better decisions today. Schwartz lays out the rigor involved in constructing and using scenarios, and draws rich examples of successful cases, such as Royal Dutch Shell in the 1980s. In the end, well-designed scenarios confront the mental maps that business leaders carry around about how the world works. Many decision makers, especially successful ones, have profited from good mental maps. But given the pace and nature of change, their maps may be obsolete. By challenging mental maps, scenario planning helps us to re-perceive the future. The level of engagement and intensity—call it hyper-connectivity—among people, companies, and connected devices and sensors is reaching a level of complexity and sophistication that will continue to shift the power equation in organizations. 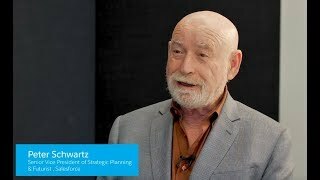 From his perch at cutting-edge technology company Salesforce.com, Peter Schwartz surveys the new terrain of hyper-connectivity and offers some provocative glimpses into the future—what nimble, adaptive, generative companies will look and feel like. He discusses how hyper-connectivity empowers individuals in radically new ways, inverting the power structure and putting individuals at the center, whether customers, employees, suppliers or regulators. 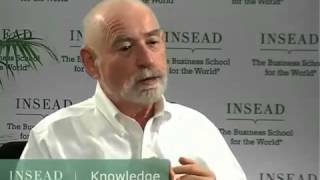 The onslaught of surprising changes and forces that we are experiencing early in the 21st century will likely only accelerate, predicts eminent futurist and strategist Peter Schwartz. We will see deepened global disruptions and dislocations in the Middle East and Asia; aftershocks from the recent and ongoing financial crisis; windfalls from new energy sources like shale gas; the further playing out of global climate change; pandemics and global health crises; and the end of retirement in developed countries, among other forces at play. Yet, these all can be better understood, planned for, and their impact controlled, says Schwartz, with better skills at foresight and what-if planning. In many cases, he asserts, leadership can do a much better job of preparing and responding to these inevitable surprises. As dramatic as the scientific and engineering advances have been in the 20th century through today, Peter Schwartz argues that we will witness unprecedented leaps in base science progress in the not-too-distant future. New discoveries at the intersection of physics, chemistry and biology are advancing our insight into the structure of matter and life. He explores how these insights are creating entirely new fields of science and technology, which promise to tackle big, global problems including chronic disease, food and energy shortages, and takes us through the worlds of synthetic biology, nanomaterials and quantum computing to show what’s ahead and how it will change our world. A former Royal Dutch Shell analyst, Peter Schwartz has expertly examined the evolving energy markets for more than 30 years; his novel methods of examining the future of energy using scenarios have earned him a global following. Schwartz delves into the unfolding story of our possible energy futures, both renewable and non-renewable, and the coming shocks to humankind that will likely arise from an increasingly volatile climate. He offers hope, but also sober advice on what options we’ll inevitably confront. 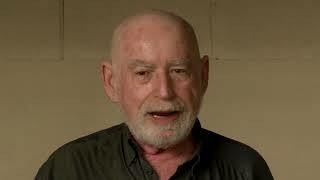 What science fiction first imagined, humankind will inevitably attempt, argues influential futurist Peter Schwartz. When you think about the future of the human species, there are two very fundamental scenarios: in the first, we are stuck in our solar system. And in Scenario Two, we’re not. 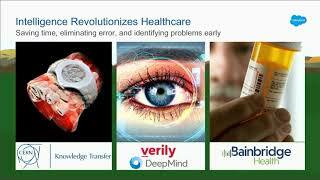 In this stimulating talk, Schwartz looks at major technical, engineering and societal factors that might lead us to try. He comes away with a startling conjecture: considering the many possible pathways and scenarios, a galactic civilization is almost inevitable in our future.